The owners of Cabot Circus have released images that reveal how their plans for a redeveloped Broadmead might look and an outline planning application has been submitted. Major improvements to Broadmead’s current layout are revealed in the computer generated images, including a redesigned Horsefair and Penn Street offering a more pleasant environment for pedestrians with buses and cars re-routed. 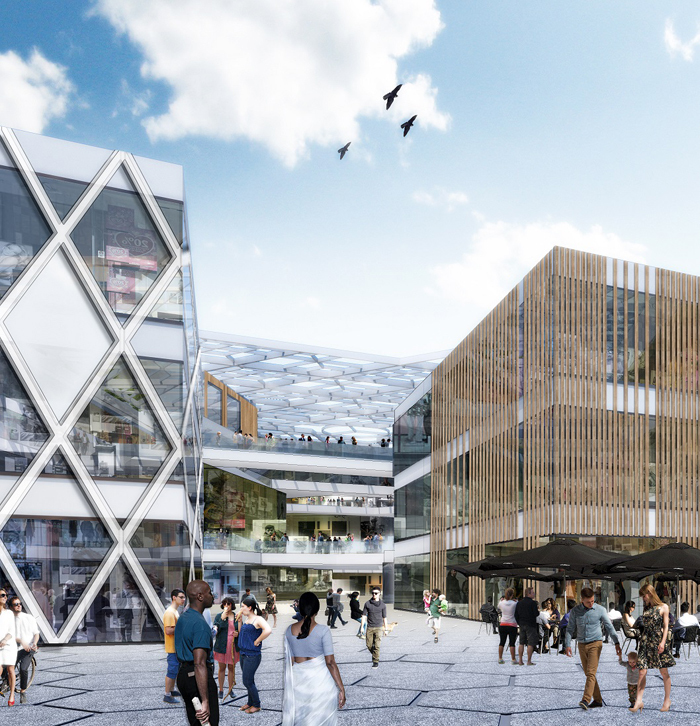 The Podium will remain a feature in the transformed centre, which will have improved public space throughout; easier walking routes between Cabot Circus and Broadmead; and a mix of covered and open shopping areas to make it an appealing place to shop, whatever the weather. Stephanie Lacey, Centre Manager of Cabot Circus, says: “We were overwhelmed by the positive feedback and support we received through our public consultation in the summer on our plans to redevelop Broadmead. We have taken these comments on board and used them to help shape the plans. 94% of respondents to the public consultation supported the regeneration. The results also showed that 75% of respondents said they would like to see improved waiting facilities. Other popular choices for new or improved facilities that people would like to see include new high street shops and brands not currently in Bristol; better public spaces for people to meet and relax; easier walking routes; and more evening attractions. 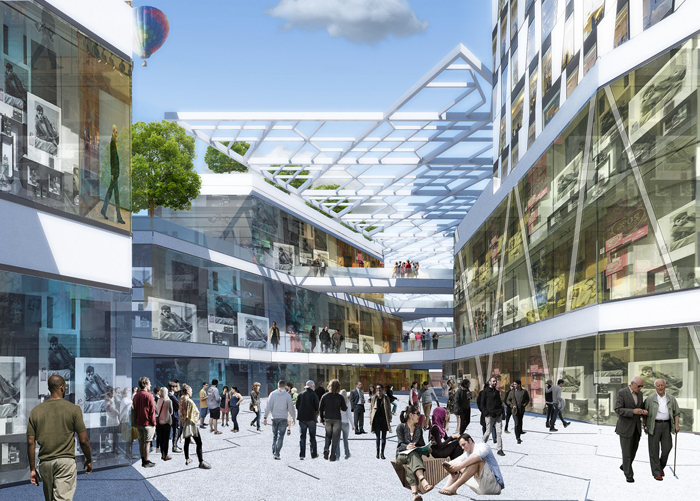 The proposed investment will reinvigorate a large area of Broadmead around Penn Street and the Horsefair, and bring thousands of new jobs to the city centre where the new Broadmead will offer a mix of shops, restaurants, cafes, bars, leisure and open spaces – a modern shopping district in the heart of the city. 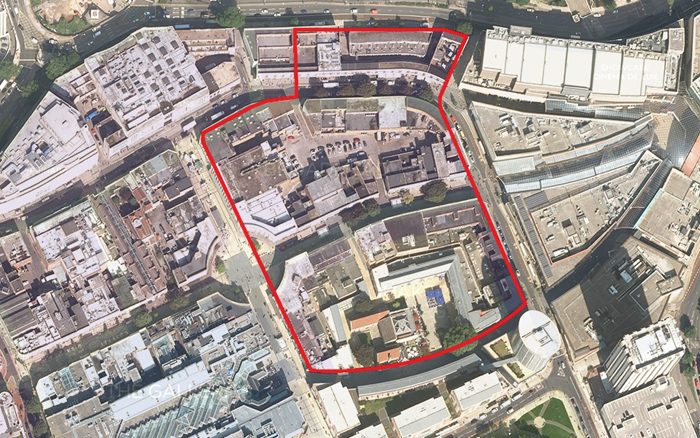 An outline planning application (reference: 16/06594/P) has been submitted to Bristol City Council and is expected to go to the planning committee for a decision next year.